Antonio Conte has assured Chelsea fans they will see more of their fringe players after injuries to key players in the last two weeks. The Blues have had to endure injuries to key players with the latest coming in their Premier League defeat to Crystal Palace. Victor Moses was withdrawn after he picked a hamstring injury, same kind of injury Alvaro Morata picked up in Chelsea’s previous defeat in the Premier League, to Manchester City prior to the international break, and also N’Golo Kante’s injury during France’s World Cup qualifier against Bulgaria. 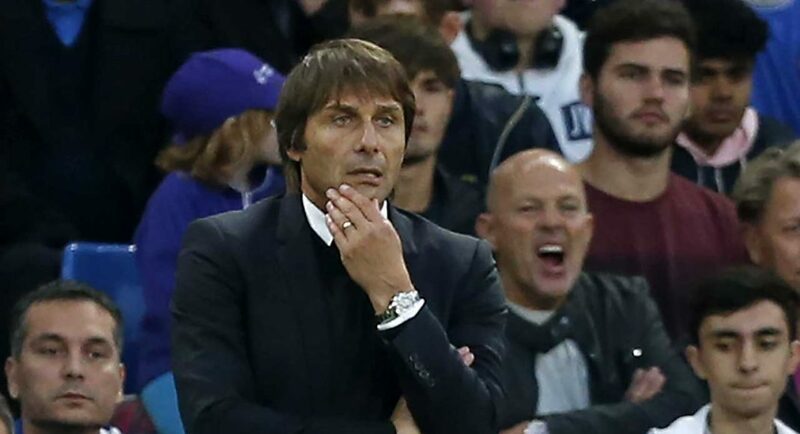 Conte’s side are lying fifth in the Premier League standings and stand a risk of losing more ground to Manchester City and Man United in the title race. We have to find the strength to overcome this moment. I know my squad and my players very well. I have players with great will to work and to fight. We must be unhappy after a defeat, above all if the defeat is not one but two in a row. This is not a positive moment for many reasons. We are playing without important players and every game we are having a new injury, but I trust all my players and I try to give everyone the opportunity to take their chance. Davide Zappacosta could be called on to replace Moses at right-wing-back while Michy Batshuayi has had his chance to fill in upfront in place of Morata although the Spaniard is reportedly on the verge of returning to the first team in the Blues’ Champions League fixture against Roma on Wednesday. Kante has been replaced by Tiemoue Bakayoko almost seamlessly in midfield although Conte is considering turning to Ethan Ampadu or David Luiz in the defensive midfield position.